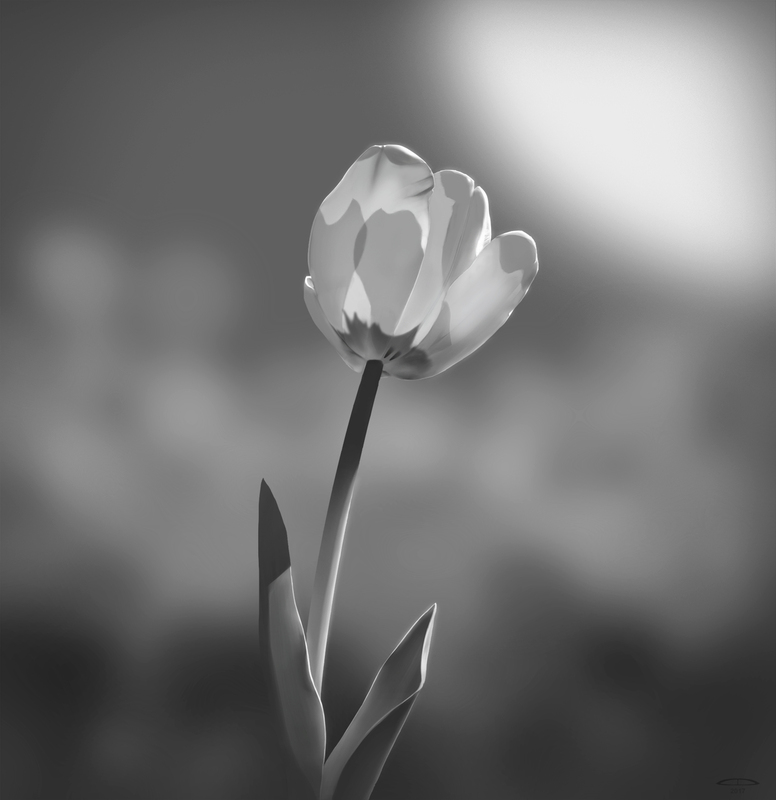 This was a value study of a tulip in direct sunlight. The transparency of the petals actually gave me more of a challenge than I was expecting as they cast shadows on themselves that were visible underneath. But hey, if I chose something super simple then it wouldn’t be much of a study now would it? Doing grayscale painting really helps me focus on overall values and tones because I know I am nowhere close to where I want to be, but the only real way to get better is to paint paint paint! I feel like I could have done a better tonal job with this though… the end result histogram didn’t have as large a range as I would have liked, and I think I should have used some darker shadows, but I was trying to keep it closer to my observational sketch which didn’t have super dark tones anywhere.